AMMONNEWS - Minister of Foreign and Expatriates Affairs Ayman Safadi and his Turkish counterpart Mevlut Cavusoglu affirmed the importance of continuing coordination and consultations to deal with ramifications of the US decision to recognize occupied Jerusalem as Israel's capital. along the lines of the 4th of June 1967 with East Jerusalem as its capital, is key to achieving security and stability in the region. 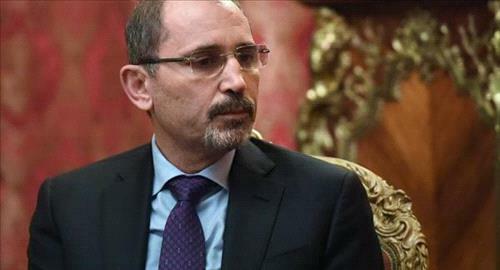 Safadi also briefed his Turkish counterpart on the outcome of the Arab ministerial meeting that was hosted by Jordan last Saturday in implementation of the decision taken by the Arab League Council during its emergency meeting last month. The meeting discussed means of dealing with the US decision on Jerusalem. Safadi and Cavusoglu also agreed to coordinate efforts to urge the international community to recognize a Palestinian state on the 1967 borders with East Jerusalem as its capital. The two ministers praised progress that have been achieved in relations Jordan and Turkey in implementation of the directives of His Majesty King Abdullah II and Turkish President Recep Tayyip Erdogan. They also highlighted the important outcome of the summit meeting between His Majesty and the Turkish president in the Turkish capital Ankara last month, and the momentum it provided to increase cooperation and coordination between the two countries.